Most people who visit the Sherman Indian Museum in Riverside, California, see this first place trophy without knowing who won it. Marathon officials did not engrave the athlete’s name on the trophy, but they did include the date and the event, which was the Vallejo Pre-Olympic National Marathon held in California on December 22, 1929. 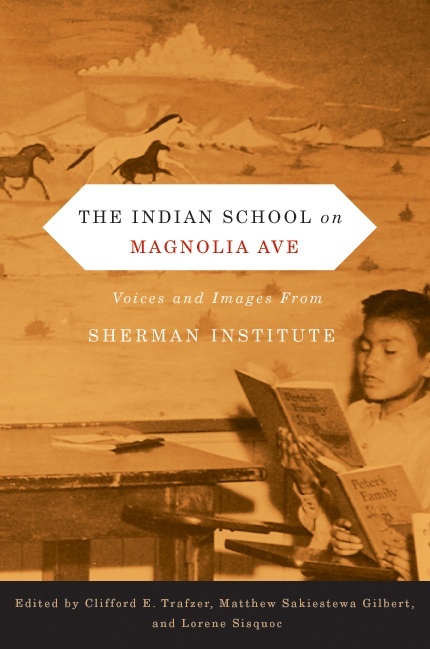 At one point in the school’s history, the student’s at Sherman Institute knew who won this award. 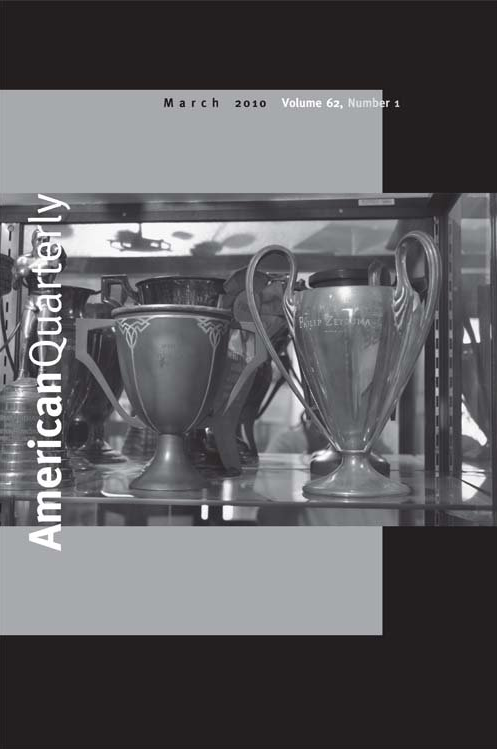 But as time passed, the trophy, one of the largest in the Museum’s collection, became disassociated from its owner. The trophy belongs to Hopi runner Harry Chaca from the village of Polacca on First Mesa. He was among the great Hopi runners of the twentieth century. 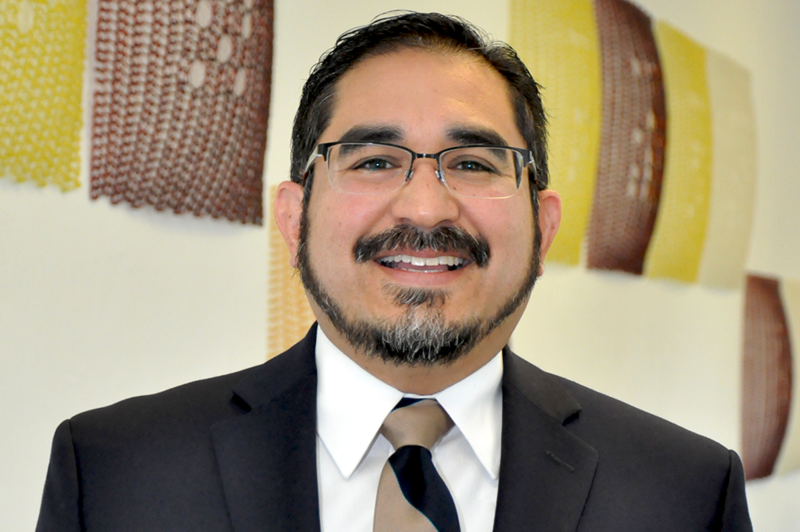 Chaca attended Sherman in the 1920s and early 1930s and he earned several marathon honors while a student at the school. I wrote about Chaca and his victory of the 1929 Vallejo Pre-Olympic National Marathon in my article “Hopi Footraces and American Marathons, 1912-1930” (American Quarterly, March 2010). I note that prior to this event, Chaca had won other prestigious marathons and his reputation as a great runner spread far beyond the United States. 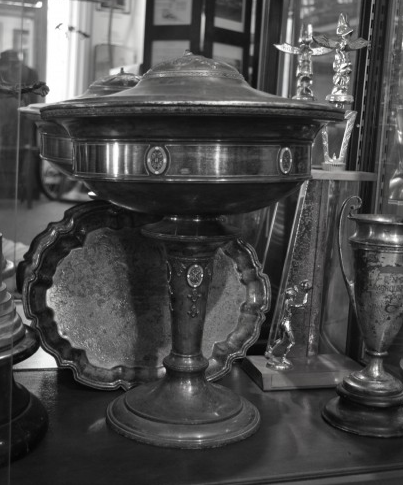 Shortly after Chaca’s marathon victory, school officials took his trophy and displayed it in a large cabinet located in Sherman’s administration building (now the Sherman Indian Museum). According to school administrators, all individually won trophies belonged to the school. At times Hopi students attempted to obtain their trophy cups after their terms at Sherman had expired. 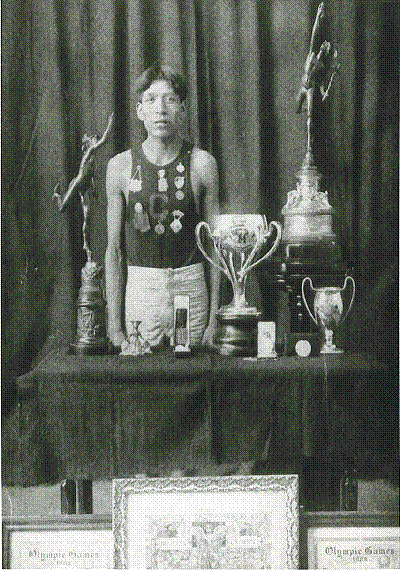 During the 1940s, for example, Hopi runner Philip Zeyouma asked the school’s superintendent if he could reclaim his trophies (pictured on the front cover of American Quarterly), but school officials refused to honor his request. More than eighty years after Chaca won the Vallejo Pre-Olympic National Marathon, his trophy remains at the Sherman Indian Museum. 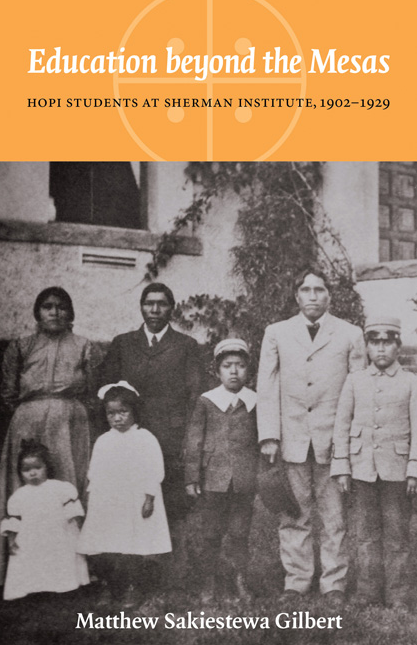 Although government officials consider the award to be property of the Bureau of Indian Affairs, the trophy will always belong to Harry Chaca and his family. What an honor and a wonderful blog on my grandfather I wish he could have read this himself. He would have been very pleased. I do thank you for the research and bringing into light his accomplishments, in which I had no idea he had acheived. I will now share this with my children Harry’s greatgrandchildren. Cheryl, many thanks for your comment. Glad to hear that you enjoyed reading my post about your grandfather. He was one of the great Hopi runners of the twentieth century, and I hope that more people will become familiar with him and his marathon honors. I am currently writing a book on Hopi runners, and I will write much more on Harry and his running accomplishments. Again, thanks for taking the time to make a comment on this post! I am another granddaughter of Harry Chaca. He was a very humble person who never spoke of his running except to my brother, Herman D.Sahneyah who also was a well known distance runner. Herman took my grandfather to watch him run in the Boston Marathon during which time Pa-Pa (grandfather) did alot of reminiscing about his running days. Pa-Pa told Herman that just by watching the race, he felt like he was running also. Hi Madeline, I really appreciate your comment. It is very rewarding for me to return these stories to our people. Your grandfather’s reputation as a great distance runner traveled to the other side of the world – well beyond the Hopi mesas. Again, thanks for your comment and also for letting me know about your brother. I will send you newspaper articles about your grandfather in separate email. Give the people their trophies…their talent won them not the Bureau of Indian Affairs!!! Really….BIA how stingy, mean spirited, and cold-hearted can you be? lings and has taught me a great deal in our ways as Hopi and Tewa. 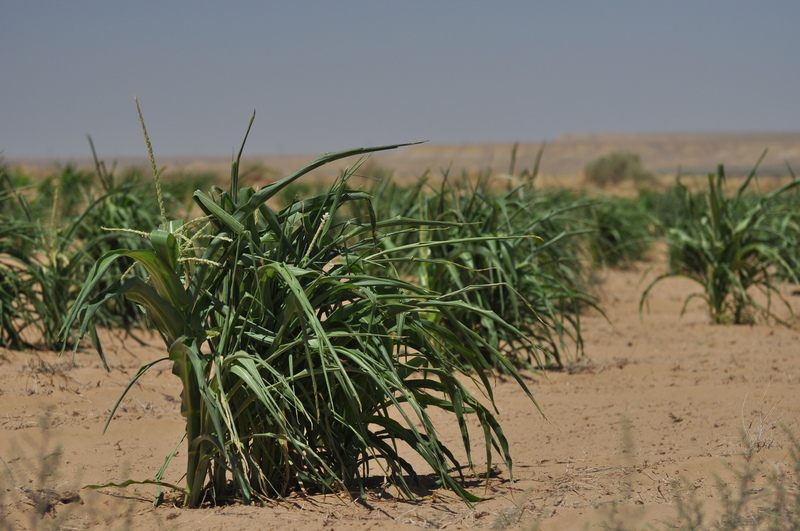 I did see him out the living room window on the most days in the planting season running to the fields behind first mesa but never knew he was once the best and still is.I hold my head up higher now as My Granpa was a Superstar… Thank you for this honor for Papa. I am looking for Larin Nasafotie who we purchased a Kachina sculpture from in 1995. When we moved her “feather” broke off and she just does not look complete any more. Would you be the artist? The piece is signed “Larin Nasafotie Hopi-Tewa” and there is a tobacco pipe carved below the name. If this is you could we arrange for a repair? I can send photos. It is really a beautiful piece. Thank you. To Madeline. I ran with your brother Herman at Illinois State University. He was a great runner and an even better person. I am glad that the history of the great Hopi runners live on in your family.